These freshwater depressions, formed thousands of years ago, are irreplaceable geographical legacies. Once they are gone, there is no replacing them. Their diverse concentric zones provide fresh water and support a variety of plants and trees - vital habitat to over 100 species of resident and migrating birds as well as resident wildlife. By replacing non-native invasive tallows with native trees and plants which support wildlife, Pine Brook can preserve and enhance its natural beauty and wildlife legacy. This rare natural area is a valuable asset not only to resident and migrating wildlife but to all Pine Brook residents as well - offering aesthetic, educational and recreational opportunities not found in other Clear Lake neighborhoods - an asset we want to preserve and enhance. Time frame: January 2008 - January 2014 and future years,with continued efforts for 2nd prairie pothole on north side dependent on future funding and volunteers. Objectives - 1) Enhance beauty of natural area. 2) Protect fragile prairie pothole/marsh eco-systems which are likely to cease being viable if current invasive species (e.g. Chinese Tallow, Chinese Privet, Japanese Honeysuckle) continue to expand without intervention. 3) Replace non-native invasive species with native plants and trees to restore eco-system and support resident wildlife and bird migration stopovers. 4) Serve as a model for other neighborhood projects. 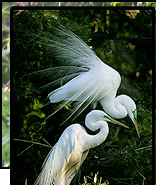 Partnership - 1) Pre & post onsite consultations by Houston Audubon Society. 2) Community environmental education, bird walks and classes, assistance with interpretive materials. 3) Expertise regarding native plants and trees to restore and enhance habitat. Work Plan - 1) Remove invasives - 2008 - 2014, and annually in future years, as needed for maintenance. 2) Replace with natives March 2008 - December 2014. 3) Pursue future efforts for 2nd prairie pothole on north side if funding and volunteers are available.. Volunteers - Pine Brook volunteers and youth organizations will perform 99% of the work. Please contact Debra Goode at 281-280-9944 if you are interested in volunteering. 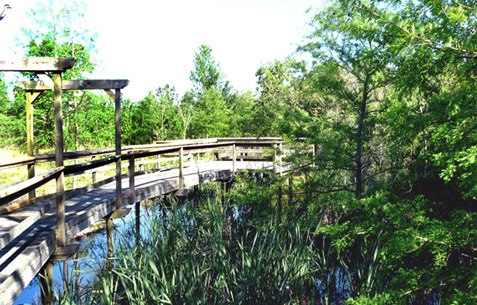 residential and commercial development continues to consume the larger forested and wetland areas. Through efforts of Pine Brook residents, a partnership with Audubon was formed to develop a model to restore the habitat in Pine Brook's wetland fringe area. Contact us for more information, questions, and/or to volunteer. Saved the Community $250,000 !